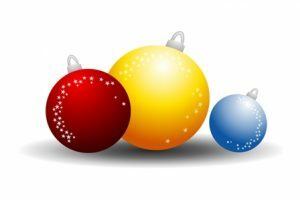 With Thanksgiving right around the corner, it’s already time to start thinking about Christmas candles to scent and decorate your home. As for me, I’m already in Christmas mode and have found some perfect candles this season I can’t wait to share with you from classics I’ve already tried and love to new candles I can’t wait to experience. Enjoy! I can’t even begin to tell you how much I love this candle! 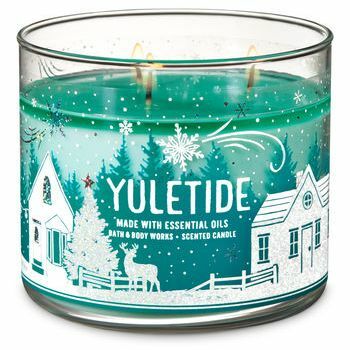 It smells exactly like a fresh cut Christmas tree and the candle itself is gorgeous! If you go to Thyme’s website, they have a slew of different options for this scent so the above picture is not your only option. I chose it because I loved the etching in the glass. So pretty! 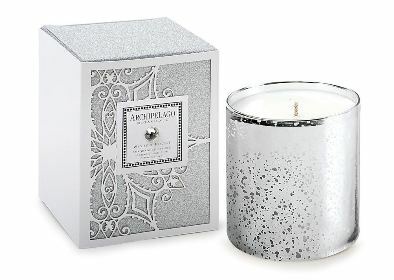 I am a huge fan of Voluspa and chose Crushed Candy Cane for the simple novelty of this candle. It’s not a unique scent but boy is the vessel gorgeous. 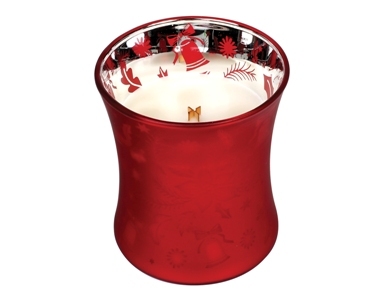 The swirl pattern in the glass is hand painted and the scent… a sweet crushed peppermint candy. Sounds crisp and a perfect scent for this holiday. An exquisite aroma of natural evergreen beautifully combined with an array of Christmas spices. An extraordinary Christmas scent, by far our top holiday seller. The holidays is never complete without burning Victorian Christmas from Pure Integrity. It smells like you’re putting your nose in a freshly cut Christmas tree. I don’t smell any of the spices, just pure, fresh tree. 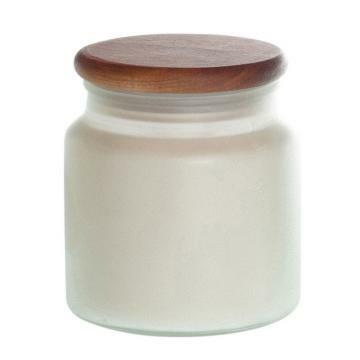 A must have this season if you love soy candles. Snowy white birch with sueded undertones of dark amber and a dusting of frosted patchouli, black pepper and juniper—all in a decorative jar that’s pretty enough to give or enjoy for yourself. A Pier 1 exclusive. I could spend an entire day in Pier 1 and not just for candles, I LOVE that store!!! Their candles though are hard to resist and Snowy Birch smells pretty darn good. It smells fresh with the Juniper and amber standing out the most to me. I’m definitely purchasing this one in the next week or two for my holiday scent list. I’ve already highlighted this candle once and here I am doing it again. I am just attracted to the description. I love everything in it. 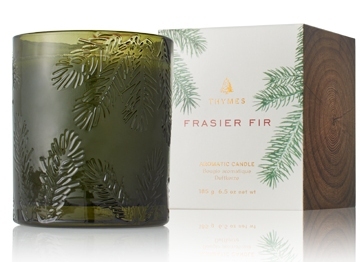 Fresh rosemary, pine, eucalyptus and cedar? Oh yes please!! It sounds so fresh and uplifting. I’m picking one up soon. A festive blend of white birch and fresh-cut winter greens. I often overlook Archipelago and I don’t know why. Their candles are amazing! 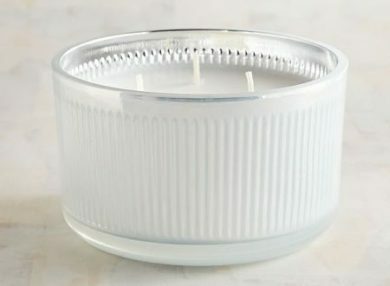 Another aspect that always gets me… aesthetics and this candle is freaking gorgeous!! It’s a candle I imagine an ice queen would burn. Oh yes, this one is so mine! Shining Sol is a fun company and a joy to purchase from. The owner of Shining Sol is a rock star, and I mean that literally! Pete Evick is a guitarist that works with Brett Michael’s. He loves candles and decided to make his own. Now his candles are being sold in stores across the country included Bed Bath & Beyond. I LOVE his story!! 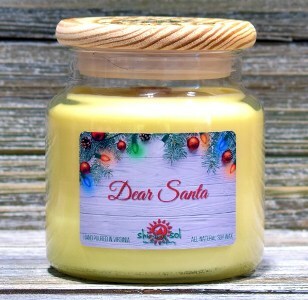 Anyway, I digress… Dear Santa sounded interesting and a fun bakery scent to showcase and try this holiday season. If that doesn’t appeal to you, he has plenty of others that are classic Christmas scents. I love WoodWick candles. I love the crackling blowtorch sound that wood wicks make and on top of that, they have some pretty cool scents to choose from. I can only imagine what this candle must look like burning. I bet it glows and flickers beautifully, especially in the dark. The image etched in the glass must really come through as well, and the scent…. sounds like a perfect holiday aroma. I’m purchasing one for sure! And that candle lovers are the Christmas scented candles I’ll be trying this year from luxury brands, to crackling Wood Wicks, to small candle stores like Shining Sol. 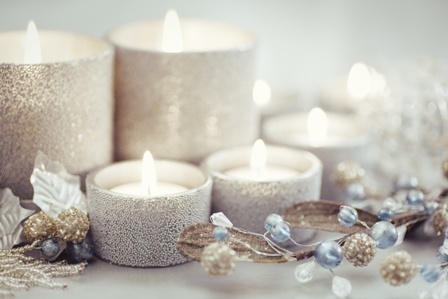 Fragrancing your home with candles is always a magical way to bring ambiance and warmth to your holiday festivities and with so many Christmas scents available right now, the possibilities are endless. My theme this year will be Christmas Spruce and Cinnamon. What will yours be? In a review, IMHO, I’d like to see mentions of hot scent throw, ease of burn, wax composition, etc. Did I miss something? Am I asking about components of candle use that is irrelevant to CF? This post wasn’t a review, it’s a candle spotlight. We do post spotlights as well as reviews. Reviews are clearly stated.